This is a digital collage sheet of three vintage key image transfers I created from an illustration in a hardware catalog. 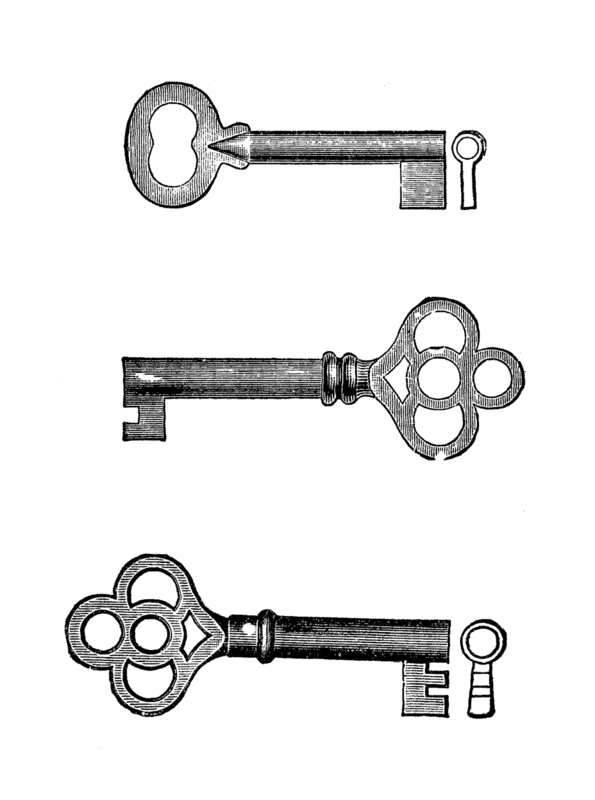 I love vintage and antique key images. 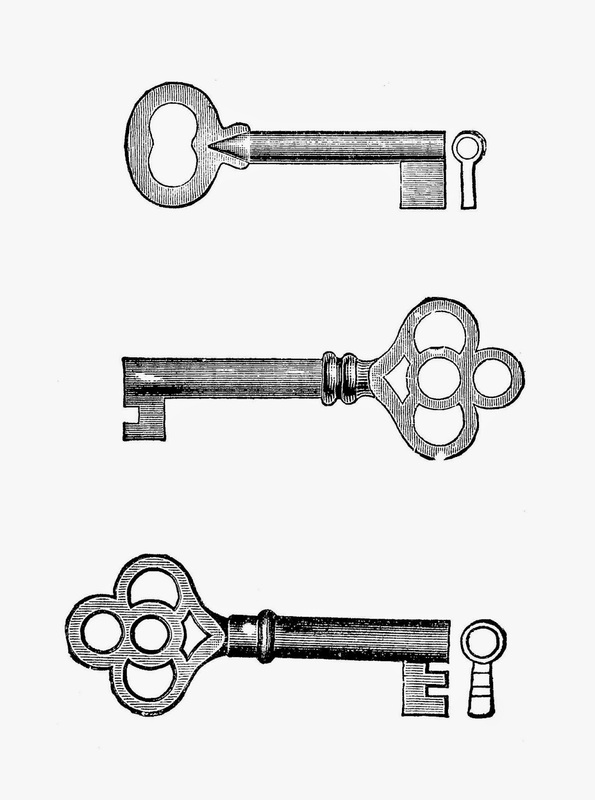 These are three cabinet keys, which is why they have the ornate designs. I've given you both the .jpg and .png files of this printable collage sheet. I hope you enjoy!